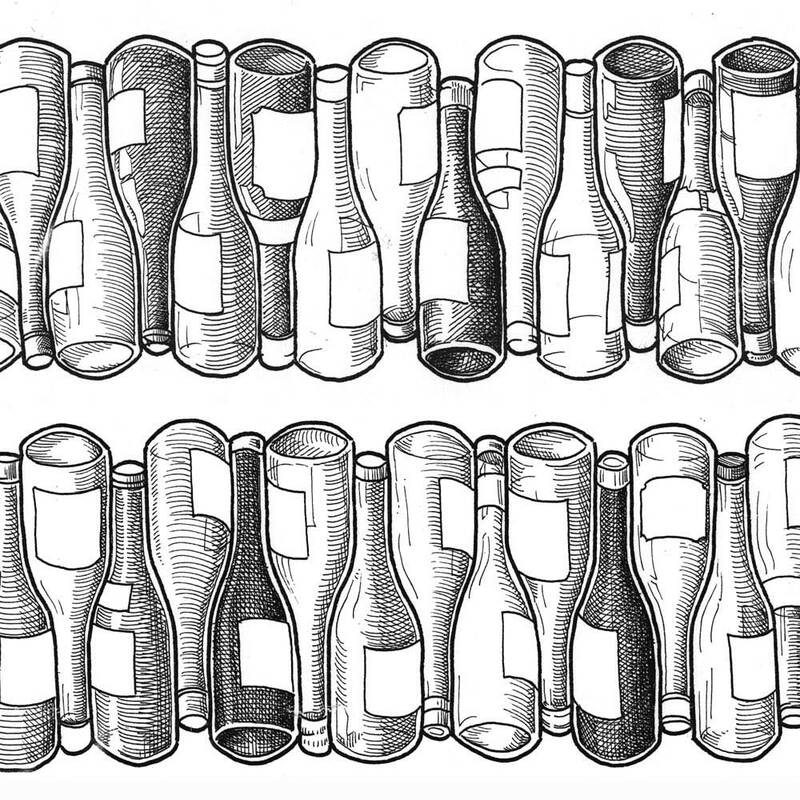 Some hand-drawn wine-bottles tessellating in a deliberate and mildly distracting/attention-seeking way. These were to run along the sides of a large van for a wine specialist. Never deployed (as far as I know), 1990s.